We’d love your help. Let us know what’s wrong with this preview of Minor White by Minor White. Controversial, misunderstood, and sometimes overlooked, Minor White (1908–1976) is one of the great photographers of the twentieth century, whose ideas exerted a powerful influence on a generation of photographers and still resonate today. His photographic career began in 1938 in Portland, Oregon, with assignments for the WPA (Works Progress Administration). After serving Controversial, misunderstood, and sometimes overlooked, Minor White (1908–1976) is one of the great photographers of the twentieth century, whose ideas exerted a powerful influence on a generation of photographers and still resonate today. His photographic career began in 1938 in Portland, Oregon, with assignments for the WPA (Works Progress Administration). After serving in World War II and studying art history at Columbia University, White’s focus shifted toward the metaphorical. He began creating images charged with symbolism and a critical aspect called equivalency, referring to the invisible spiritual energy present in a photograph made visible to the viewer. This book brings together White’s key biographical information—his evolution as a photographer, teacher of photography, and editor of Aperture, as well as particularly insightful quotations from his journals, which he kept for more than forty years. The result is an engaging narrative that weaves through the main threads of White’s life, his growth as an artist, as well as his spiritual search and ongoing struggle with his own sexuality and self-doubt. He sought comfort in a variety of religious practices that influenced his continually metamorphosing artistic philosophy. 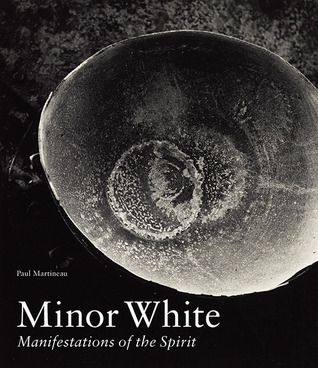 To ask other readers questions about Minor White, please sign up. "One should not only photography things for what they are," wrote Minor White, "but for what else they are." Deeply spiritual, photographer Minor White was also a complex, sexually conflicted figure, constantly striving to visually depict something intangible. The photographs are beautifully presented and include White's major series, or 'sequences,' including 'The Temptation of St Anthony is Mirrors,' 'The Young Man as Mystic,' 'The Sound of One Hand,' and 'Out of My Love for You I Will Try to G "One should not only photography things for what they are," wrote Minor White, "but for what else they are." Deeply spiritual, photographer Minor White was also a complex, sexually conflicted figure, constantly striving to visually depict something intangible. The photographs are beautifully presented and include White's major series, or 'sequences,' including 'The Temptation of St Anthony is Mirrors,' 'The Young Man as Mystic,' 'The Sound of One Hand,' and 'Out of My Love for You I Will Try to Give You Back Yourself.' The individual plates are rich in contrast and the images are visually arresting. This book includes a biographical essay by Paul Martineau that covers White's career and artistic progression in Portland, New York, San Francisco, Rochester and Boston. It also discusses his role as a teacher, and as the editor of Aperture magazine from its inception in 1952 through 1976, and his relationships with other photographers of that era, including Alfred Stieglitz, Edward Weston, Paul Brandt, Dorothea Lange and Ansel Adams. A beautiful presentation of a life devoted to photography, including an effective mix of biographic and photographic details. I enjoyed it immensely and recommend it highly for those seeking to understand the motivations and methods of photography as an art form. The only reason that I did not give it the top rating was that I thought it bordered on the hagiographic in several aspects of the description of his life and manner of working. Best exhibition catalog I've encountered. Paul Martineau's writing is beautiful. The photo choices are wonderful, especially the inclusion of the entire series "The Temptation of Saint Anthony Is Mirrors." The quality of the printing is beautiful. I'm inspired. It made me fall in love with Minor White. Lovely mini-bio and beautiful summarization of White's prints. Interesting biography with a lot of information about the artist, and well as numerous plates of his photos.